The crew of the Serenity has never looked so cute! 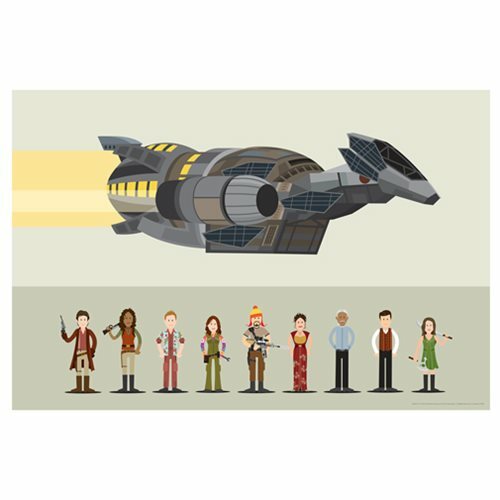 This Firefly Crew by Scott Park Lithograph Art Print features just about all of your favorite characters from the TV series, done up in an adorable cartoon style - complete with the Serenity floating above. Lithograph measures 30-inches wide x 20-inches tall. Limited edition of 395 hand-numbered pieces and comes complete with certificate of authenticity. Ages 15 and up.